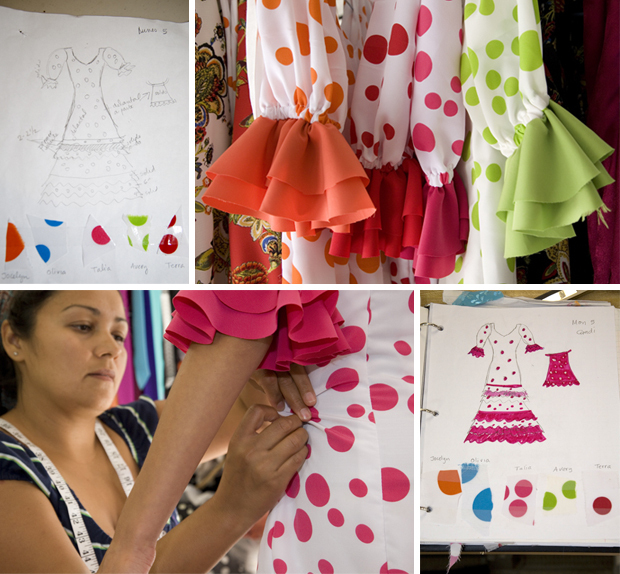 While Candi was busy fitting Talia’s pink polka dot dress for the Manolo Reyes Group, Linda was working on the design of 3 new white Jr. Spirit dresses for Talia’s Mission Dance, Fiesta Parade and Party Dance! We just can’t wait to film her during Fiesta. This entry was posted in Costumes and Accessories and tagged LV184 on June 16, 2009 by Filmmakers.